AMG.comSoundtrack recordings were once products of one composer, one producer, and songs closely woven to the movie's theme. Now soundtracks are compilations of many different artists, producers, and writers; the songs may or may not be movie-related. 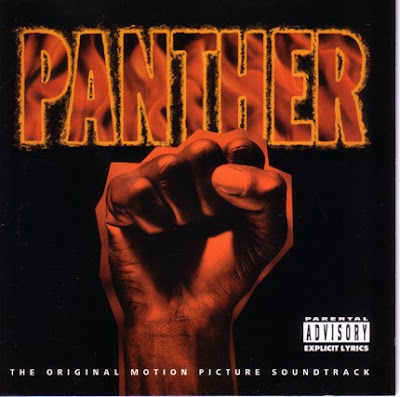 The Panther soundtrack has 18 songs, almost as many producers, and enough artists to start a riot. The producers alone read like a who's who of late-'90s R&B, some notable ones include: Brian McKnight, Dallas Austin, Tony! Toni! Tone!, James Mtume, and Teddy Riley. Lots of remakes comprise Panther, and all are excellent. Monica and Usher's version of "Let's Straighten It Out" provides the same chills as Latimore's original version; ditto for Female's in-your-face rendition of "Natural Woman." Female duets with Shanice on Gladys Knight & the Pips' classic "If I Were Your Woman" and gives it a pleasing update. Brian McKnight sings a rousing version of the "Star Spangled Banner" with the Boys Choir of Harlem. So much to choose from; there's something here for everybody. Artists of prominence include Bobby Brown, the Last Poets, George Clinton, the Sound of Blackness, Aaron Hall TLC, and others. You get your money's worth and change with this one. That sounds really cool. I've been wanting to see that movie. Just never have for some reason. Happy New Year!